Sree Vidyanikethan Engineering College was established in 1996 with an initial intake of 180 students to serve the cause of technical education in the backward region of Rayalaseema. The intake has increased exponentially to 2112 in 2017-18. The College now offers 8 B.Tech programs; 8 M.Tech programs; MCA Program; and 3 Doctoral Programs. AICTE has also accorded permission for 2nd Shift Polytechnic from the academic year 2009-10 and presently 5 Diploma courses are being offered. Today, Sree Vidyanikethan Engineering College is one of the largest, most admired and sought after Institutions in Andhra Pradesh. The College is located in a sprawling campus of about 30 acres, amidst sylvan surroundings with aesthetically built infrastructure. 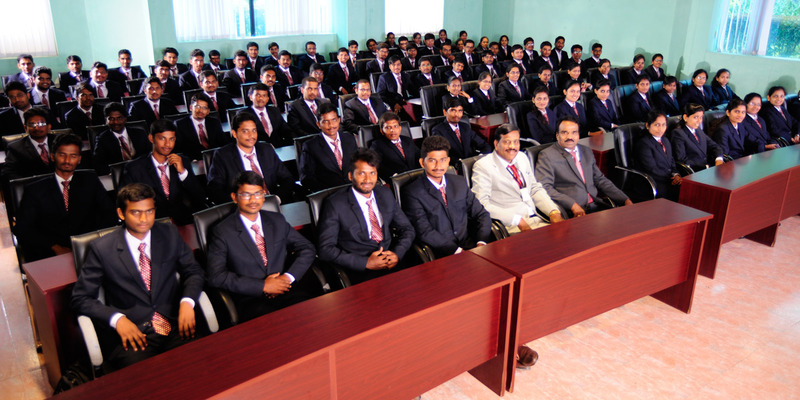 The College is approved by AICTE and affiliated to JNTU Ananthapuramu. The College has been accorded Autonomous Status by the UGC, New Delhi in 2010-11 which was extended for six years (from 2016-17 to 2021-22). The College is known for its quality initiatives which is amply reflected in accreditations by National Board of Accreditation (NBA) for UG & PG programmes, National Assessment and Accreditation Council (NAAC) with ‘A’ Grade and many multinational organizations such as TCS, WIPRO & IBM. The College is successfully implementing TEQIP-II under Sub-component 1.1: Strengthening Institutions to improve Learning Outcomes and Employability of Graduates, funded by the Ministry of HRD, Govt. of India. The College has been accorded “UGC-Colleges with Potential for Excellence” status under CPE Scheme by UGC, New Delhi. It also has been accorded ‘PLATINUM’ category by CII-AICTE Survey; and was conferred with ‘A’ Grade by Department of Higher Education, Andhra Pradesh. The college participated in National Institution Ranking Frame Work (NIRF), 2017 and stood within the Rank Bank: 151-200. SIEMENS established 6 State-of-the art t-SDI laboratories. The Vision and Mission of Sree Vidyanikethan Engineering College enable the Management to develop the students holistically by providing them all inputs to enhance their employability. The congenial environment on the campus foster the students’ imagination, creativity and enthusiasm. The College is committed to enhance the quality of education and introduce demand-driven career oriented programs for the benefit of students. The curriculum of the college equips the students with life skills to face the challenges in the fast paced dynamic global scenario. Sree Vidyanikethan Engineering College is striding ahead into greater realms of achieving success for the inclusive growth of its stakeholders. 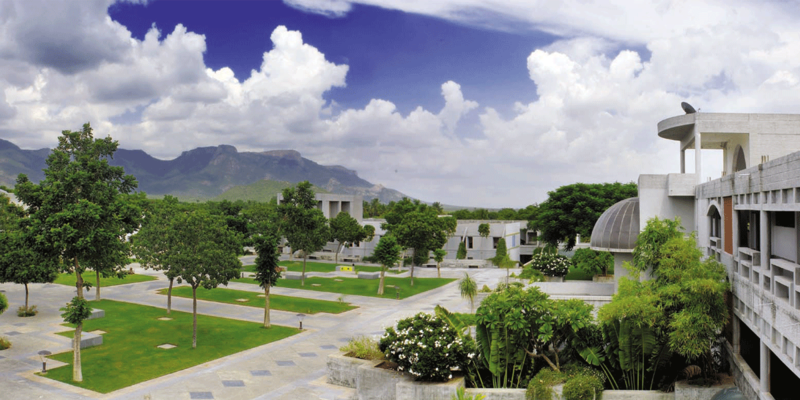 Sree Vidyanikethan is the college – the one Engineering College – that comes to people’s minds at the mention of Engineering in Andhra Pradesh, under the widely regarded group of institutions catering the best of education in India. Known for its vision and benevolence, Sree Vidyanikethan Engineering College designs the study programmes to meet tomorrow’s industry demands. It gives me great pride every year to see our graduates being invariably preferred by most of the employers. The magnitude of campus placements is undoubtedly the yardstick of our quality education delivery here. At SVEC, we graduate individuals unto balanced professionals who are job-ready. Our staff continues to play a key role in the evolution of the individuals. Furthermore, we adopt rigorous procedures to stay up-to-date in the field and take the advantage of market conditions. SVEC owns state-of-the-art infrastructure, world-class research facilities, best faculty and active student groups. This will make us to help the students on the promising platform in terms of professional education. SVEC always finds its way in the ‘Top 10’ list of engineering colleges in the country. It is extremely delighted to work along with the dynamic changes that are coming in the field of Higher Education in general and technical education in specific. The real challenge lies in bringing ‘student first’ concept in the educational practices. 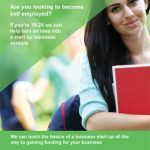 The need for giving a top priority to establish systems and practices to better the learning outcomes of students and thereby enhancing their employability or aptitude to entrepreneurship is highly relevant and essential. The need for training the teacher community to understand the diversity of students and evolving pedagogical strategies to personalize the education to each individual has become the practice of the hour. Focusing on learning outcomes of the students through project based learning, research based teaching and industry ready curriculum is the most strategic formula for success and purpose of engineering education. The growth verticals of faculty and student research, industry collaboration and student placements drive the brand of the Institution to the next level. At Sree Vidyanikethan it is the synergy of best practices, best human resources, best infrastructure and best systems that are bringing laurels and encouraging the team to tread the extra mile for excellence. Dr. P.C.Krishnamachary is a passionate teacher, enthusiastic researcher and an able administrator. 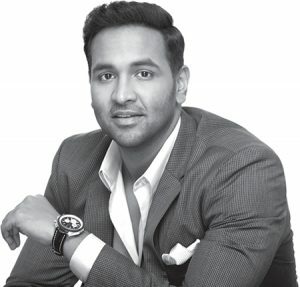 He did his Bachelor’s Degree in Mechanical Engineering from S.V.University and Masters from PSG College of Technology, Coimbatore with a specialization in Engineering Design. Dr. Krishnamachary did his Ph.D in Mechanical Engineering from S.V.University, Tirupati. His interests lies in advanced domains of Mechanical Engineering such as Intelligent CAD/CAM, CAPP, Flexible Manufacturing Systems, Robotics, Finite Element Methods and Micro Electro Mechanical Systems. Presently guiding two scholars for the award of Doctoral Degrees. He has over 28 years of experience and Dr. P.C. 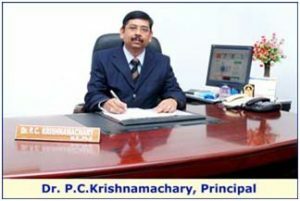 Krishnamachary joined as Principal, Sree Vidyanikethan Engineering College in 2008 and is continuously serving the organization since then. He is at the helm of affairs in the development of the College. His sustained interest in the growth of the Institution and his passion to take it to the next level has resulted in numerous achievements to the Institution such as Institutional autonomy conferred by the UGC, New Delhi, NBA & NAAC Accreditations, Implementation of prestigious World Bank Project TEQIP-II and achieving the place in the NIRF Rank Band of 150-200 among others. He has published more than 30 papers in National and International Journals and also presented his research findings in reputed conferences. He is a reviewer for International Journal of Manufacturing Technology and Management. Also he is a life member of several Technical and Scientific committees. Dr. Krishnamachary in toto is a forward looking teacher-administrator and is a great believer of team-work in organization development. Embraced by serene nature, world-class infrastructure and excellent learning environment, Sree Vidyanikethan Engineering College (SVEC) stands out in academic excellence and is most preferred among the best colleges for engineering. Dr. Mohan Babu, established the college in 1996 with an inclination towards providing best education, and today after over two decades, the college has grown in its size and stature, from an initial intake of 180 to 2232 students. Housing 350+ staff members, who diligently work towards transforming the lives of 2000+ students pursuing their interests across nine B.Tech programs, eight M.Tech programs and an MCA program since its inception, the college also offers AICTE accorded Second Shift Polytechnic program that has five Diploma courses since 2009. With consistent and excellent academic performance of students in the University examinations, SVEC has endeared to many students and parents, grabbing space in the list of top engineering colleges in the country. 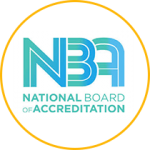 Approved by AICTE and affiliated to JNTU Anantapur, SVEC is best known for its quality initiatives which are reflected in accreditations by NBA and many multinational organizations such as TCS, WIPRO and IBM. SVEC is selected for participation in TEQIP-II under Sub-component 1.1: Strengthening Institutions to improve Learning Outcomes and Employability of Graduates, funded by the Ministry of HRD, Govt. of India. The College is accorded Autonomous Status by the UGC, New Delhi from the Academic Year 2010-2011 and is all set to seek Deemed University Status in near future. 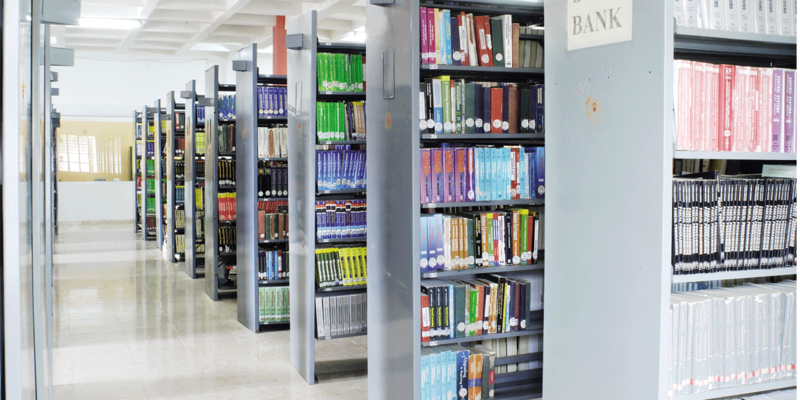 The college houses standard facilities making it one of the top 10 engineering universities in India. 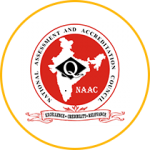 The College has been accredited by National Assessment and Accreditation Council (NAAC), Bangalore for a period of 5 Years with a CGPA of 3.11 on a four point scale at A Grade valid from 23-03-2013. Many eminent academicians and dignitaries who visited the College have acclaimed the quality of education imparted in the College and appreciated its achievements since its inception. Today, amidst numerous engineering colleges mushrooming in Andhra Pradesh, SVEC has its special place among the best engineering colleges in India. Recruit and retain a diverse faculty of outstanding teacher-scholars with principles and discipline. Expose students to leading Industries and Corporate Houses. Foster a harmonious, cordial and tripartite relationship among the Management, faculty and students for their respective growth and for establishing a congenial academic environment in the College. Sree Vidyanikethan Engineering College strives to establish a system of quality assurance to continuously address, monitor and evaluate the quality of education offered to students, thus promoting effective teaching processes for the benefit of students and making the College a Centre of Excellence for Engineering and Technological studies.